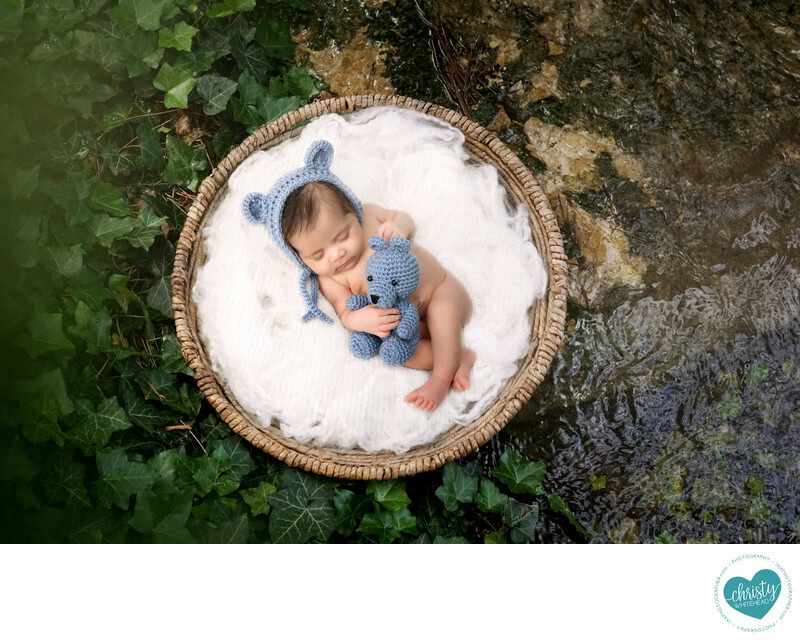 Newborn Photographer In Jacksonville Florida - Newborn Photography | Schedule Your Newborn Shoot Today! I’m an ancestry buff. I have an ancestry.com account and I have over 3,000 people linked to my account. One of my FAVORITE things is to find old photos of family members I’ve never met and occasionally I’ll also find stories. For example, on my paternal grandmother’s side, her grandparents came over to the US from Scotland, giving up their land and such to preach for the Mormon church. They took a boat to the US and lost a child on the way. They had to throw the child overboard, as people believed the death would attract sharks otherwise. They crossed the US by covered wagon, losing another child along the way. Finding photos of these people I have never met is amazing to me. Seeing the texture of their faces. What are they doing in the images? I actually have one of those fold up wagons in my closet, completely full with photographs from my family. Whenever a hurricane comes, that gets loaded into my car first and then everything else is packed around it. I can replace clothes, but I can’t replace those treasured photos. If you have ever wondered what spurs on a photographer’s passion,. It's an amazing creative outlet. You get the chance to put a little bit of who you are into each portrait that you take. Anyone can click a camera's buttons but not everyone can truly make a photo come to life. It's a challenge. Creating amazing photos that capture the magic of everyday life doesn’t come without hard work, dedication and imagination. There is always something new to explore and a new way to take the same photos. It’s a job that never gets boring. And I’m constantly educating myself on new techniques and technologies. You get to meet new people all the time. My degree is in Journalism and I loved having to ask people questions and talk to them and learn their story and having an excuse to do it. As a photographer, I love learning about all the people who come into my studio. Getting to know someone new is a part of the process of bringing someone’s personality through in a photo. It also makes the job a lot more fun! The flexibility is great. Being a full time photographer means you get to work your own hours. This statement, for me is true and false, lol. I try to work regular office hours, but one of the reasons I do this job is because of the flexibility it allows me for my family. So why do photographers love photography? For me, it is super rewarding and I feel like I’m helping families create their own heirloom portraits that their families will cherish for generations as well.